I’ve been crafting! I have three new items in my Etsy shop. These folder over elastic hair ties are great for working out! They don’t snag, and look great on your wrist! (I always end up with hair ties on my wrist!) 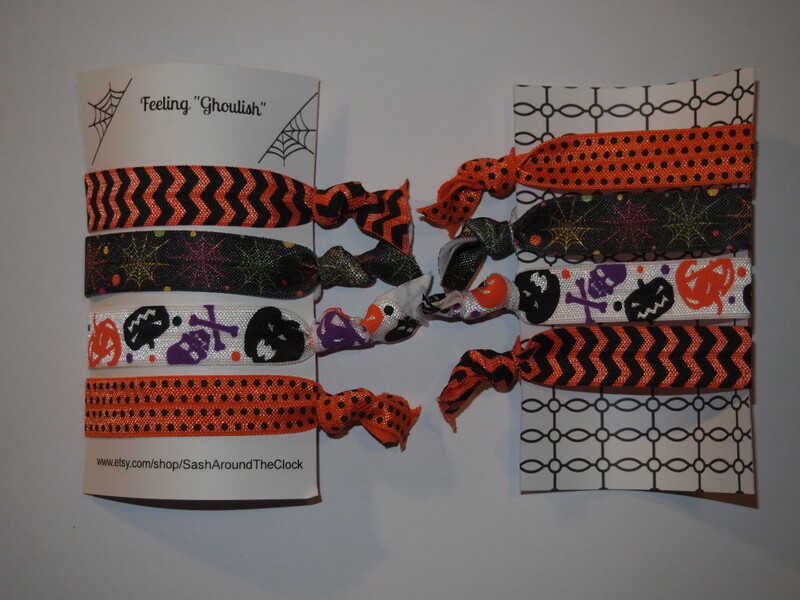 You can see below, we have a Sugar and Spice collection, a Mustache collection, and a Halloween collection! Because I am excited, I am going to give one away! To enter, comment below with which set you want to win! You can get an additional entry for sharing my instagram post about the give away! Just post your instagram username in your comment! 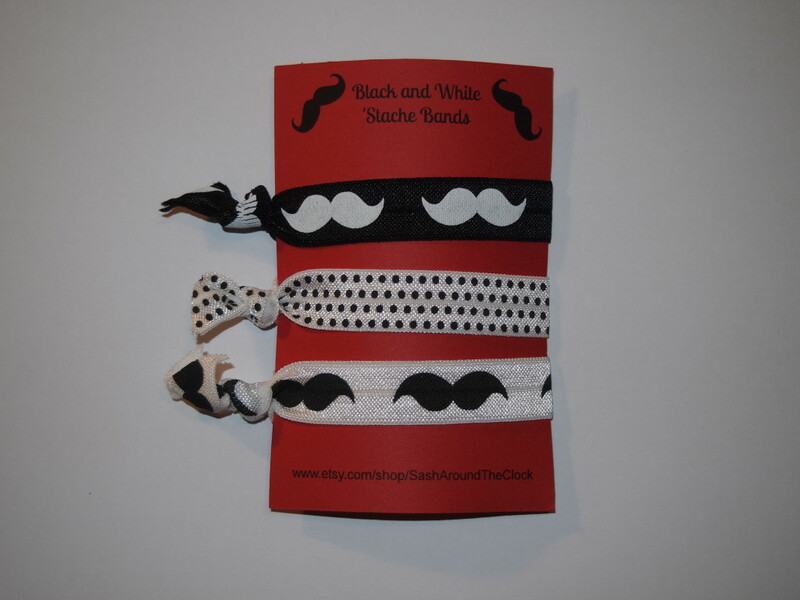 Best style of hair ties ever! 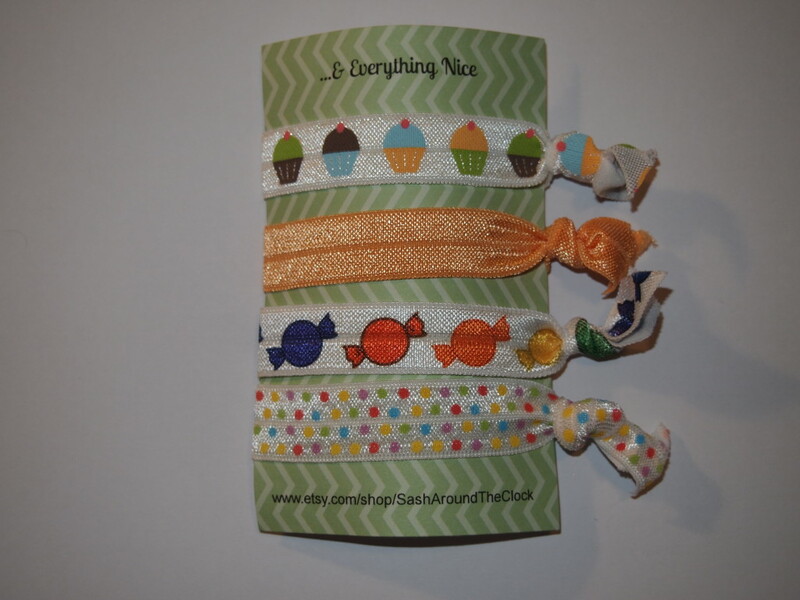 I’d love to win the Sugar and Spice hair ties!